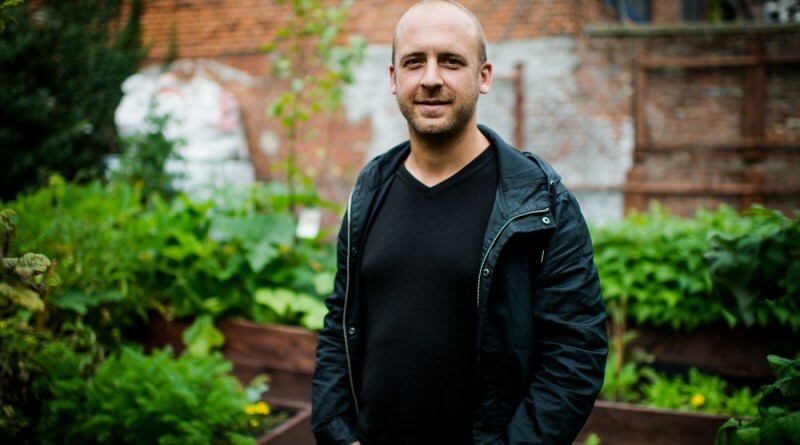 By Koen Wynants, Commons Lab Antwerp. It was in the spring of 2017, that I discovered the world of the commons. I was in Barcelona for a training on ‘urban green space management’ (‘Progress’). The training started with a theoretical framework on the evolution of urban development in Barcelona. And a few examples of ‘common governance’, but also ‘green gentrification’.It completely blew my mind. Although I’m an active citizen for more then 10 years, experimenting on different kinds of collaborative actions in my own city, Although I work as a freelance facilitator of interactive policy processes, This was an eye opener. I was struggling a lot in many ways, and was so glad to discover a complete new framework. I suddenly understood a lot of my struggles and found a new desire to learn, to experiment. 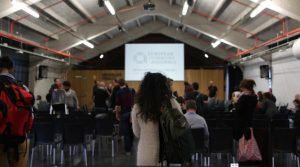 A few months later, I had the chance to participate at the second European Commons Assembly in Madrid. Because it was my first Commons Assembly, I didn’t really know what to expect. As I’m a practitioner, I really was searching and hoping for sharing experiences with other commoners (I already found out that I was a ‘commoner’). 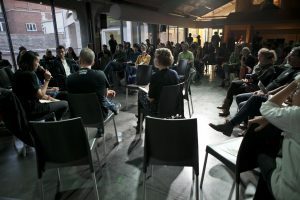 From the start, already during the first speeddate, I was surprised to see so many different people, with so many different backgrounds, different activities, different approaches and frames, different expectations. Definitely lots of interesting people to meet and to learn from! So I enjoyed lots of workshops and the visits to local commons initiatives. I met and spoke lots of people, I acquired new contacts, ideas. After Madrid, I had a few specific meetings, among which Michel Bauwens of the P2P Foundation. And a month later, the puzzle came to pieces, I started ‘Commons Lab Antwerp’. 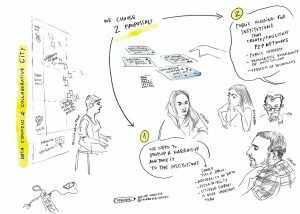 Commons Lab Antwerp is a new grassroots, citizens initiative based on the ideas of Michel Bauwens (P2P Foundation) on commons transition. 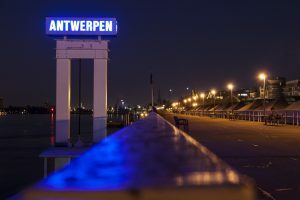 It’s an experimental citylab investigating ‘Antwerp as a commons’; new forms of collaborative city-making that are leading urban areas towards new forms of participatory urban governance, inclusive economic growth and social innovation. We try to partner with social innovators (i.e. 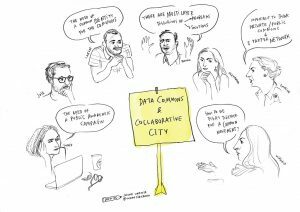 active citizens, city makers, digital collaboratives, urban regenerators, community gardeners, etc. ), businesses, civil society organizations, knowledge institutions (i.e. schools, universities, cultural institutions, museums, academies, etc. ), and local authorities. 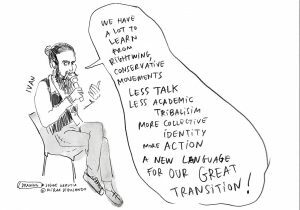 Next year we want to ‘co-create’ a local Commons Transition Plan. From the perspective of the commoner, because we don’t have any formal legitimacy (yet). We hope to start implementation from 2020 on. It’s interesting to see the same processes going on in my own hometown, on other scales. 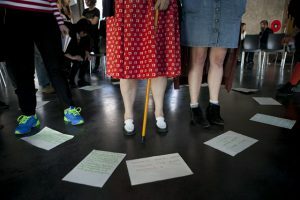 I organised a local Commons Assembly. The main goals were to meet and to learn from each other, to share experiences, skills, tools, networks, ideas. And I’m aware that for certain commoners, that’s not enough. Lots of commoners are so busy that they don’t have or take the time to work on a broader movement. 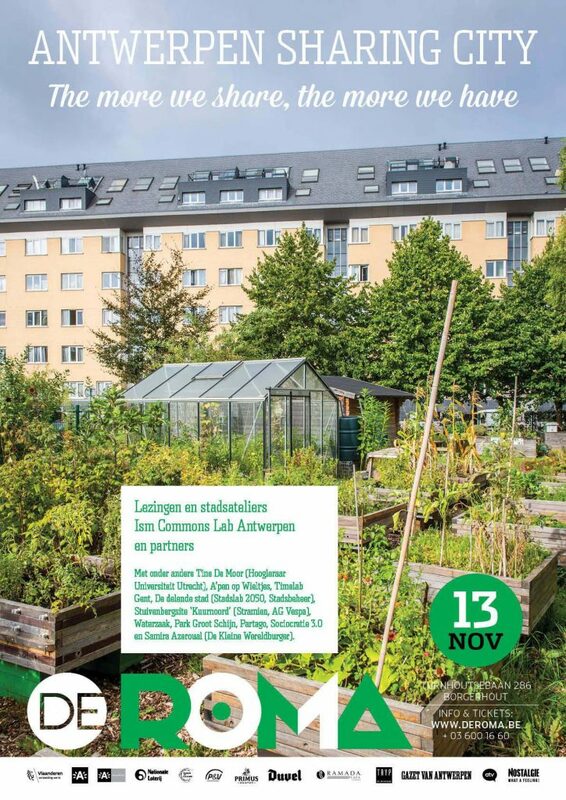 At this moment, Commons Lab Antwerp itself is not a commons initiative yet, it’s vulnerable. But it takes time to bring people together, to develop a collective, a common agenda, collective action. At this moment, I’ve found people who want to contribute to the collective, to a broader urban initiative. We are ready to take the next step, we connected the capacities that are necessary to grow. 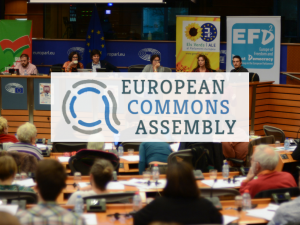 The same will happen with ECA or the European Commons movement.